The Sunrider SunFit Pack Features some of our wonderful healthy weightless products! 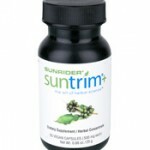 The Sunrider SunFit SunTrim Plus, Sunrider’s newest revolutionary weight-loss supplement, the SunTrim Plus Pack is complete with the essential Sunrider® products to help you reach your weight-management goals. VitaShake® is a whole-food powder with fewer than 100 calories a serving, no cholesterol, very low sodium, and very low sugar, making it an ideal supplement to help achieve your weight-loss goals. The Sunrider VitaShake is easy to make, I just mix a bag of VitaShake in water or Fortune Delight and shake! Love the Chocolate flavor! Be the first to review “Sunrider SunFit Pack” Click here to cancel reply.